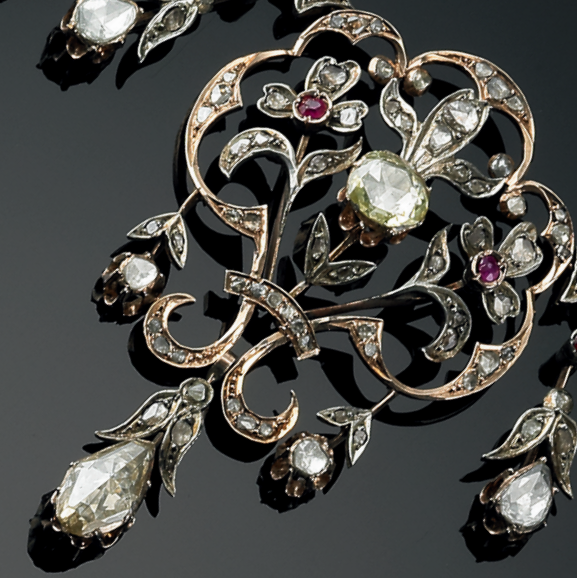 Lot 289: A diamond jewellery set comprising a necklace and a pair of later ear screws set with numerous rose and old mine-cut diamonds, circular-cut rubies and spinels, mounted in 14k gold and silver. L. necklace 47 cm. L. ear screws 3 cm. One stone missing. Circa 1900-1910. 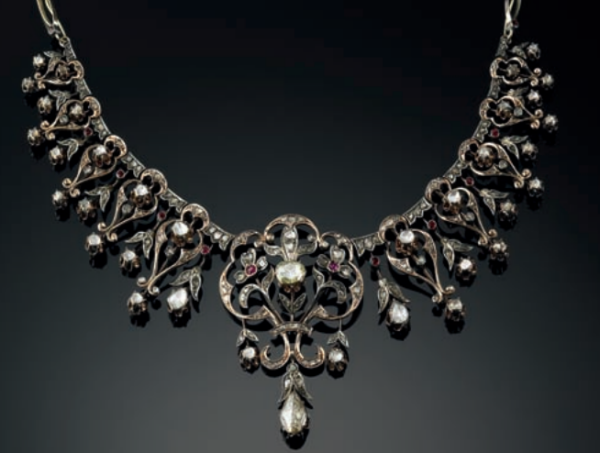 The catalogue also notes: "The necklace was originally used as a tiara." The set was accompanied by a case; auction estimates for the set were between 4,000 and 5,350 euros (today, that's about $4500-$6000 in USD). 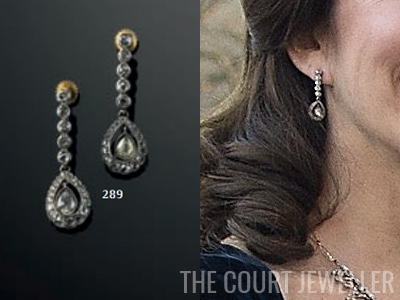 If Mary bought the tiara and earrings herself (as Billed-Bladet suggests) in 2012, there was certainly a gap between the purchase and her first public outing of the set, which was in April 2015. But, as the condition reports note, the tiara/necklace wasn't in perfect shape. Diamonds had to be replaced, and as a tiara frame wasn't advertised as a part of the lot, it's possible a new one had to be made. Thanks to @european_royals for sending me the link to the catalogue!